..:: PROTOCOL | HOMETHEATER ::..
Protocol offers complete designs, equipment and installation services for both residential and commercial applications. These include custom home theatres and media rooms, surround sound, distributed audio, video equipment, consumer electronics and network equipment for both commercial and residential site. Installing the equipment for you and turning it over after we calibrate, install and integrated so that you can thoroughly enjoy your system. Protocol will meet with the customers at their site and discuss in details what their requirements are, in terms of timeline, budgets and any concerns they may have and put together a quote based upon on their requirement. 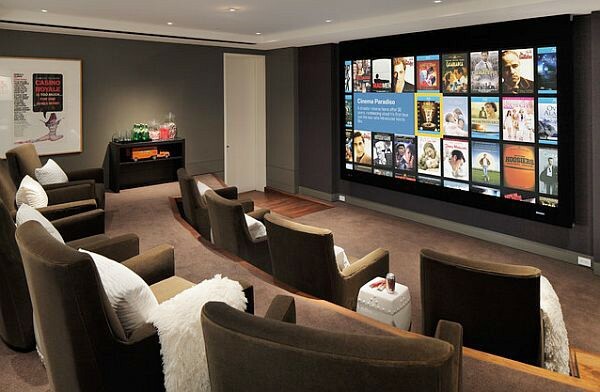 Our technicians are well experienced in installing on both Residential and commercial Home theatre set-up.